Vincera Foundation, the Horner Foundation and Philanthropy Network partnered to host the third Sports-Based Youth Development Conversation. We welcomed special guest Paul Caccamo, President and Founder of Up2Us, a nationwide leader in sports-based youth development. Paul came armed with staff and trained coaches to demonstrate the impact their Coaches Across America program has had in training and professionalizing the role of coaching in sports-based youth development across the country. Coach Across America (CAA) places and trains the nation’s best and brightest role models to bring sports-based youth development to our most underserved communities. Their coaches inspire children to be leaders and contributing members of their communities. CAA coaches understand that every program session, practice or game is a chance to positively impact a child’s future. 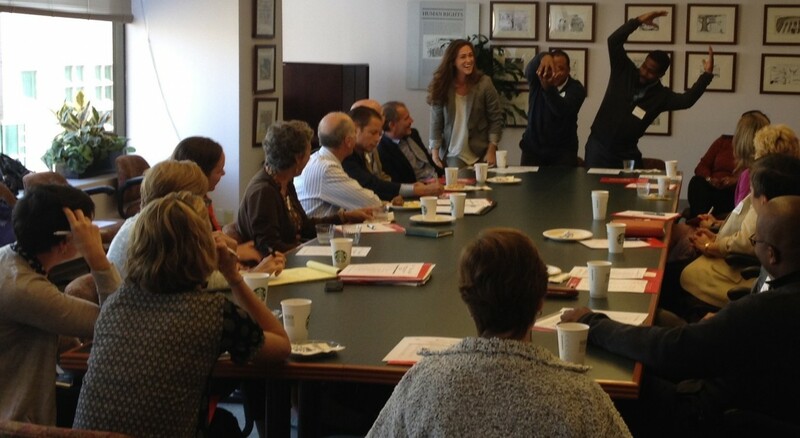 Their lively discussion and demonstration created great buzz and interest in bringing their program to Philadelphia.